But if you're in the market for a new phone, don't get too excited yet. 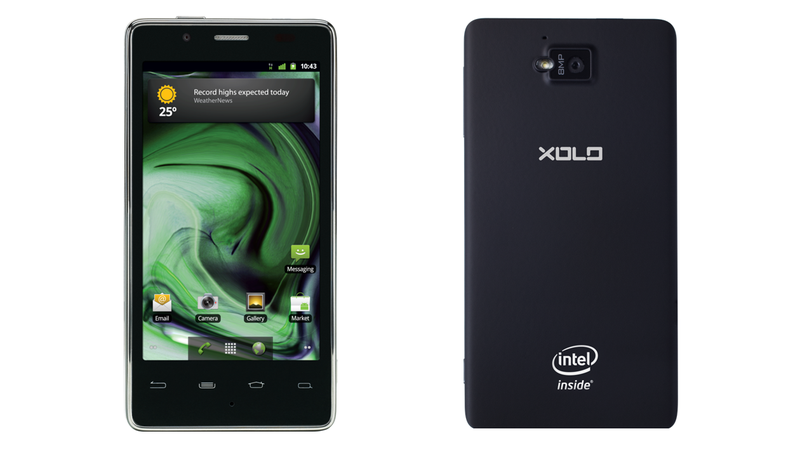 The Xolo X900, made by Lava International and based off of an Intel reference design, will only be available in India. The phone runs on a single-core Intel Medfield chip - specifically the Z2460 Atom processor, which clocks in at 1.6GHx and supports hyper-threading. It will cost consumers 22,000 INR, which is about $425, without a plan. The Xolo X900′s specs aren't mind-blowing, but are arguably competitive. It sports an 8-megapixel camera and a 4-inch "high-res" LCD touch screen, and will run on Android Gingerbread, with a scheduled upgrade to Android 4 (Ice Cream Sandwich) shortly after its release. The phone also supports 1080p HD video playback and offers long battery life - at least for audio playback, which hits a whopping 45 hours. As for talk time and 3G browsing, battery life is average: eight hours and five hours, respectively. "We finally have a very competitive product for smartphones," Jeff Ross, Director of Intel's Marketing for Mobile and Communications Group, told Wired. "We have a high-performance part that can compete with products in the market, and those coming out to the market. It's not just about the performance, but also about the energy efficiency. There are number of performance factors that we'll be the best at." Ross highlighted three features in particular: camera capabilities, video encoding and playback, and browser speed and performance. Ross says Medfield features advanced and speedy image processing technology, making it possible for smartphones to take photos in burst mode - at 10 photos per second. Intel also worked to optimize the Android platform with its chip, so browsing feels a lot faster, says Ross. "We have a good foundation of diversified partners on different markets around the world to get started," Ross said. "We're really trying to win one customer, with one product at a time." "What we're hoping for is that our customers find that the [Intel] platform enables them to truly differentiate and create unique offerings for the market," Ross said. "Which will mean that consumers will want to buy the smartphones, and if consumers buy them, then our customers will need to purchase more from us."